Combined Chess and Drafts Set. Miniature Isle of Lewis Chess Pieces. Also includes a 13.75 wenge board. Perfect gift for any chess or draughts enthusiast. 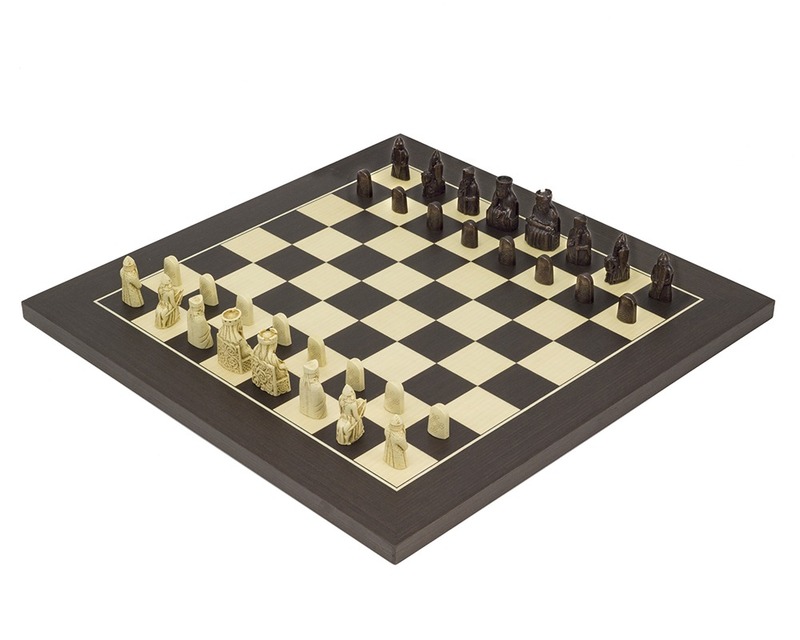 This is a welcome addition to The Regency Chess Company comprehensive range of chess sets. 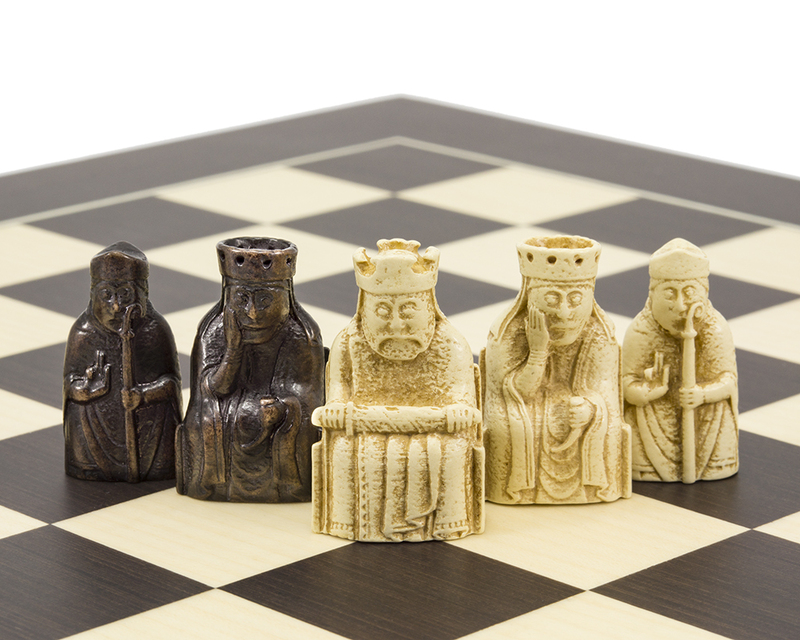 Although this is a miniature version of the Isle of Lewis Chessmen, these pieces still retain all the detail enjoyed in the larger sets. The draught counters are a perfect size, weight and feel and made from the same crushed stone resin. Visually ,the dark pieces are marked with a traditional Celtic knot design whilst the light pieces have a mythical mermaid. There are two convenient black velour drawstring bags to store the stones when they are not in use together with the chess pawns. They are big enough, however, to also accommodate the chess pieces at the same time so making it a convenient set to travel with (without the presentation box). This set comes with two boards. The original linen board has a playing area of just under 10.5 inches with a traditional Celtic design around the border, making the overall size of this linen board 12.5 inches. The 1.25 inch playing squares are in matching cream and brown and complement the pieces and stones perfectly. It rolls up and sits in its own compartment when not in use. We have included the superb 13.75 inch Wenge board from Spain because it just compliments this set so beautifully. With its superb blue and silver branded presentation box and overall design, this set would make a wonderful gift for any chess and/or draughts enthusiast.